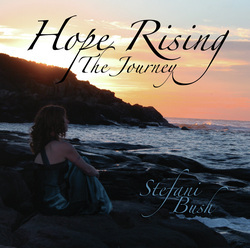 Hope Rising: The Journey was born song-by-song over the past 5 years. These songs are more than music on an album; these songs are about a journey that many have traveled. A journey through hope, fear, anger, loneliness, sadness, and joy. Music is the universal language – it’s healing, comforting, and provides an outlet. For me, it is my way of coping with, coming to terms with, and accepting the journey that God has chosen me to travel. It is my way of sharing with others that they are not alone. It is my way of offering hope to those who are searching for understanding. And it is my healing process. If just one life has been changed by this album, then every step of my journey has been worth it. 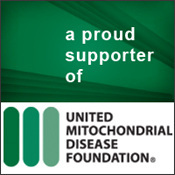 A portion of each CD sold prior to March 2011 has been donated to two different charitable foundations. These charities benefit research, patient support, and education for people battling the same illnesses that Stefani and her children battle.